This is great for close reading. Have the students highlight key vocabulary the first read and key details the second read. For each read use the Kaplan symbols to annotate the vocabulary and details. 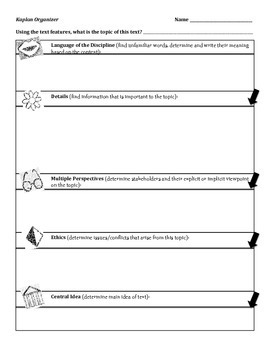 After, have students complete this organizer. The ethics questions and perspectives can lead into a great class discussion seminar afterwards.